No more fumbling while setting up! Color code your audio connections so you always know what goes where. Every inch of these cables was engineered to make your life easier. We've re-thought the basic audio connector with 2018 styling and timeless functionality. Good tools get the job done without getting in the way. 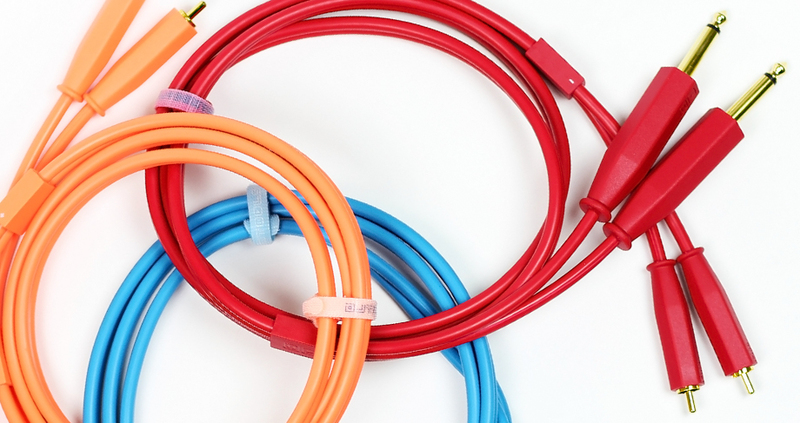 High quality soft materials ensure these cables are super easy to handle. "Having seen great review of the chroma cables before, I decided to have a go and I'm definitely not dispointed. They are thick, sturdy and do not show any deficiencies int their design or their built quality." "Great product oh my as mentioned in other reviews I wanted to purchase another after the first purchase no longer buying the store bought ones there is no words to explain the quality !" Every gig is different and you need trustworthy cables that help you respond to all scenarios. These handy protectors slide up and down to widen or shorten your cables and printed +/- markings clearly distinguish between channels. Built-on velcro cable straps prevent untidy cables, keeping your gig bag nice and organized. You'll wonder how you managed without this. 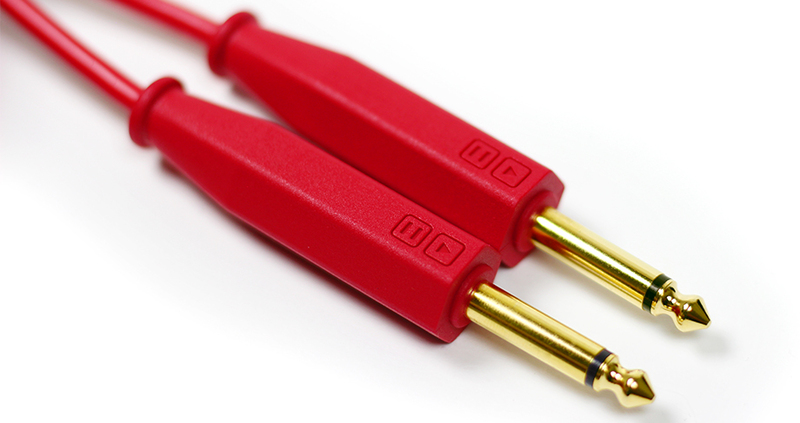 Long lasting and highly conductive gold plated connectors make these the perfect cables for both home and touring setups. This is a signal you can trust during the most important performances. 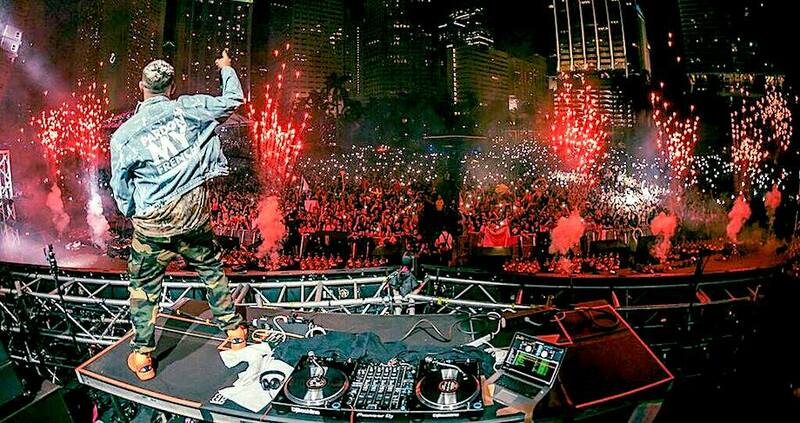 From your bedroom to the main stage of Ultra Miami, Chroma Cables can tackle any scenario. Lots of top DJs and performers around the world rely every night on the full Chroma Cable line including USB and audio due to their rugged build. "Rock solid cables with good audio quality. Only concern I have is that the surround on the 1/4" ends doesn't allow for very easy connection to the audio output of my Novation Circuit, they are 'just' too big, as well as one of the RCA ends seemed to be a little loose and required a touch of tightening. Great bang for your buck, and fast shipping." "Durable and visible! Exactly what I was looking for." "Great made product, feels good to the touch, the gold tips are great, I recommend this product to anyone." "I bought the RCA to 1/4 first, and I liked a lot. So, I bought an RCA to RCA quickly, as soon as I'd received the first one. They are awesome🔥! I get lots of comments from DJs asking me where I got them from. They are 🔝🔝"
"Great product. As usual, DJTT has thought of just about everything...just about. I really wish they would offer them in longer lengths. I often DJ with several other DJs (all on there own controllers) which means longer runs to the mixer. Other than that, these cables are the best. Would have given 5 stars if they offered longer lengths." "Sounds great with my CDJ-2000NXS2!" "amazing cables, I used to always use the old rca's i would get with the product, but this ones are a game changer, very pleased with them." "Love these cables.Better then other RCA's I've owned in the past.Glad they made them.Would deff get more and recommend buying them to any DJ!"